Wheat (Triticum aestivum) is an important cereal crop for a large number of countries in the world. It provides about 20% of total food calories for the human race.It is widely grown through the temperate zone and in some tropical and sub-tropical areas at higher elevation. It can be grown on a variety of soils ranging from sandy to heavy clay, for higher production fertile and well-drained loam to clay loam soil is most suitable. The major wheat growing countries in the world are USSR, USA, China, India, Canada, Australia, France, Turkey, Bangladesh and Pakistan. Among the major cereal grown in India, wheat stands second next to rice in area and production, but first in productivity among all the cereals. 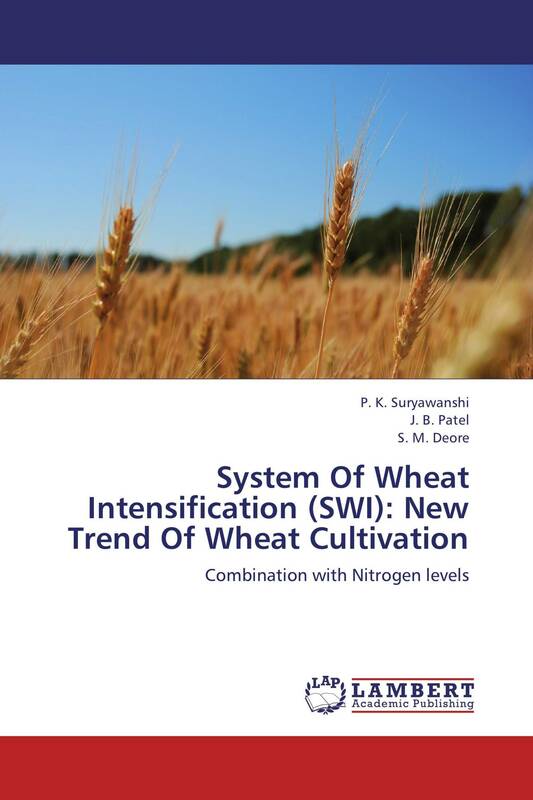 System of Wheat Intensification (SWI) popularly known as Sri Vidhi Gehun is different methodology for cultivation of Wheat. Its root goes in SRI principle being practiced in paddy. Here also all agronomic principles are put into practices and integrated with package of practices in wheat crop.